Gavin’s Galaxy was formed after our son, Gavin, was diagnosed with Leukemia in 2015. Getting this news was earth shattering for my wife, my daughter, and me. Unfortunately, our situation is not unique, thousands of families hear the words “Your child has cancer” and those 4 words change life forever. Almost 16,000 children in the US will be diagnosed with cancer this year and 20% of those children (~3,000) will NOT survive. Gavin’s Galaxy is dedicated to improving these statistics by lobbying and educating policy makers, businesses, and the general public. 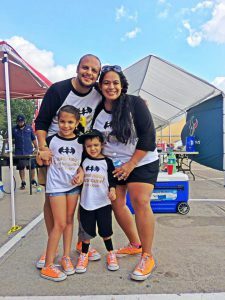 Gavin’s Galaxy also is dedicated to giving fighters, warriors, and their families the opportunity to participate in fun events and activities that are designed to minimize the risks that families that are fighting cancer face. No one fights alone, and that is especially true when it comes to our children. 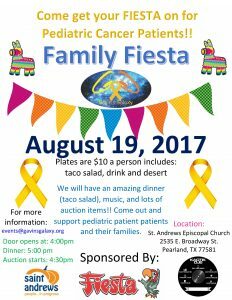 We ask that you join us in this cause and support the growing number of families in the US that are fighting this battle. Together, we can win this battle against cancer, once and for all! Gavin’s Galaxy is featured in Around H-Town on 104.1 KRBE Radio with DJ Freddy Cruz. Click on the image to listen now! We will be collecting new pajamas, books, and gift cards for this event, which will be held at Texas Children’s Hospital. Several locations are available to drop off your donation. If you can’t help this time, keep in mind that the pajama drive is a quarterly event that we do all year long. We need pajamas and books for newborns up to teens/young adults. For gift cards, please choose a place near the Texas Medical Center. We appreciate everyone’s support!! Email events@gavinsgalaxy.org for more details or to volunteer. Thank you to everyone that came out to support the Family Fiesta, including our very own Representative Ed Thompson! 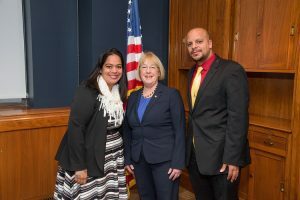 Meeting with Senator Patty Murray (WA) on March 23, 2017 in Washington, DC. 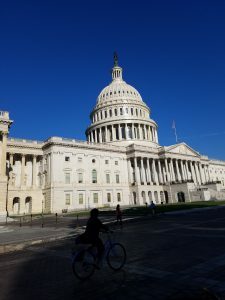 Sam and Jacqueline Abdelmessih from Gavin’s Galaxy went to Washington, DC this week to visit with lawmakers about the STAR Act, the RACE for Children Act, and FDA reform, among other things. This will be our 8th visit to DC as Gavin’s Galaxy. In total, there were 14 meetings. We met with lawmakers from around the country as well as a few from right here in Texas! We got an opportunity to address budget shortfalls for pediatric cancer patients as well as finding other avenues or support for pediatric cancer research. 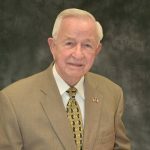 Mayor Reid will be present to say a few words and recognize a young member of our community. We are asking everyone to please fill out the STAR Act Template Letter to lawmakers in D.C. Each person has 3 different lawmaker they can send it to. (2 Senators and 1 Rep) Stop by our booth to fill out your letters! We can even mail them on your behalf!! The letter can be viewed here or downloaded in Word format by clicking here. Your support is a crucial part of getting this bill passed into law!! 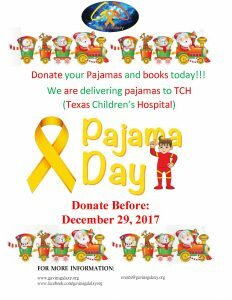 We will be collecting new pajamas and new books for our Pajama & Book Drive benefiting Texas Children’s Cancer Center patients. Please show your support and drop off your donation at the Gavin’s Galaxy booth. You may also donate online by clicking below. Visit to Capital Hill in DC to talk about pediatric cancer. After meeting with lawmakers in DC and several supporters in the community I have put a letter together with the help and support of others in the community. Please download or copy the letter and send it to your senators and representatives in D.C. Our goal is for lawmakers to see this letter so many times they have to actually stop and read the bill. We would like to thank our senators and congressmen/women in D.C. who have already shown their support of this bill. The letter can be viewed here or downloaded in Word format by clicking here. Your support is a crucial part of getting this bill passed into law. Congress will vote on this bill by the end of the 1st Quarter of 2017. We would love to hear your feedback and responses you get from sending this letter. On behalf of all of our children, THANK YOU and God speed!! Gavin’s Galaxy is meeting with lawmakers and their staff in D.C. to discuss the STAR Act.